Gray Better Be the New Blond! I have decided to allow my natural texture to rule my hair and NOW…I am also going to let my natural color shine forth. This is going to be big. I have been dying my hair since I was in eighth grade. Don’t ask me what my mother was thinking. Many women start coloring their hair when they get to a certain age and gray hair starts to pop up. Since I have been coloring my hair for so many years I am going to stop before I go too gray. I have some gray hair, hopefully not enough to make a blatant line of demarcation. I am not bold enough to rock the skunk look. 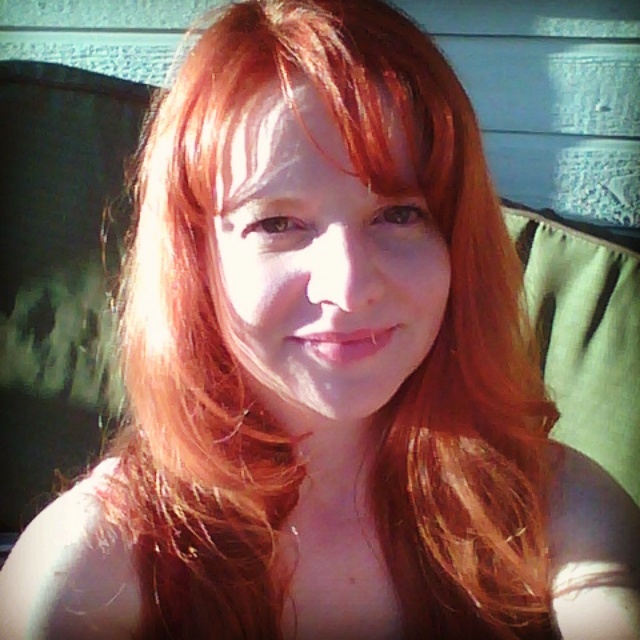 I will have a bit of a grow out line because I was coloring my hair red for several months. Ladies, do you know how hard it is to get red out? Do your stylist a favor and don’t go red unless you NEVER want to go back. Anyway, have you seen some of the silver-haired beauties with blogs? Lauren is just gorgeous! I almost wish my hair would go gray faster so I could have her silver locks! Alas, I will have to settle for silver highlights. Still, I can’t wait to see how my hair grows out. This might be one of my longest transformations ever. Even weight-loss doesn’t take as long as it takes for hair to grow. If you have ever read my posts you know that I am not a photographer and when I do post a picture it is not of myself. However, I will try to have a selfie of me now and then another in what, five years? when my hair grows out. I’m thinking there will be other changes besides my hair color in five years. I hope I don’t look as bad as I think I do. Close up of the gray. Lovely! Having read several posts about growing out gray hair I am going to take the leap and go cold turkey on the hair color. I have been coloring my hair over 20 years! Crazy! I am mature enough to accept my natural hair color. I do not need to change my physical appearance to feel good about myself! I am who I am! I’m still going to work out and try to have a healthy diet because I am going to fit into my jeans. And this whole silver hair is beautiful campaign better last because I don’t want to dye my hair right after I finally have it all grown out! This weekend I have been contemplating changes. Maybe it’s just the change if the seasons or maybe I spent too much time online. I am contemplating being a curly girl. Big decision. Well, I didn’t really decide, I mean God gave me curly hair, but I haven’t ever embraced being curly. Once in a while I wear my hair curly, but for the most part, I blow dry it, or flatiron it or use hot rollers. I have thought about going curly several times, I buy curly shampoo and products, try it for one day and then go back to denying my natural texture. Why is it so difficult to admit that I have textured hair? Why am I nervous about this lifestyle? It is a lifestyle. I read the Curly Girl Handbook and it is a change of lifestyle. Can I give up my hairdryer? My flatiron? My hot rollers? What about running my fingers through my silky mane? OK, so I don’t really do that, but if my hair is curly I won’t be able to do that. Not able! If I touch my dry hair it will disrupt the curl pattern and I will turn into a fuzz ball! I’m not good with commitment. At least not committing to anything permanent regarding my appearance. 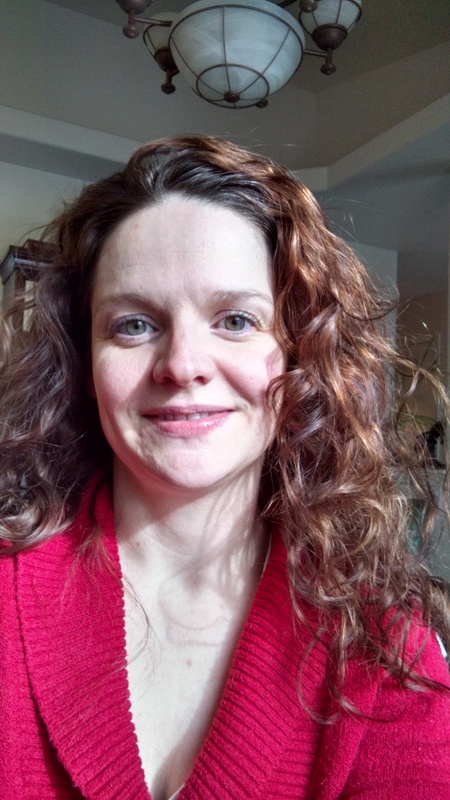 Apparently embracing natural curls is more of a commitment than a perm. If you ever crack and blow out your hair it will take years for your curls to recover. Maybe it was weeks, but still, a long time. I think that is what makes me nervous. I change my hair color pretty often. I have been everything from black to platinum to cherry red, I’m not afraid of change, I’m afraid of the same. I have already broken several important curly girl rules today. 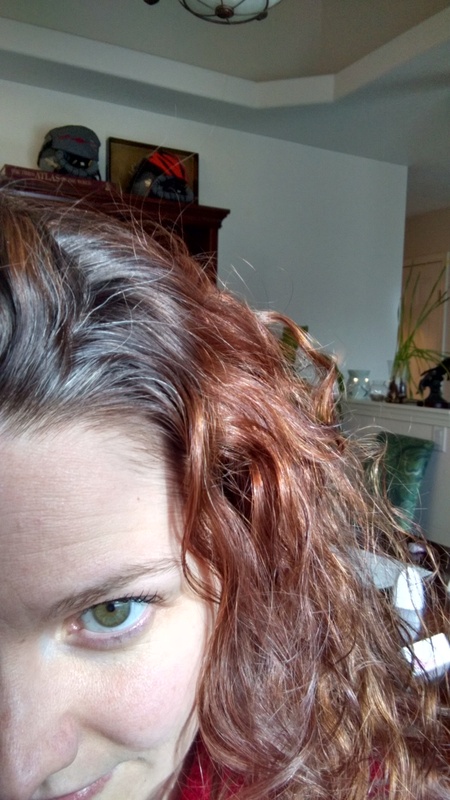 I haven’t used shampoo with sulfates since college, but I am changing my hair from red to brown and used Goldwell Color Remover (love it), but one of the main ingredients is a sulfate. 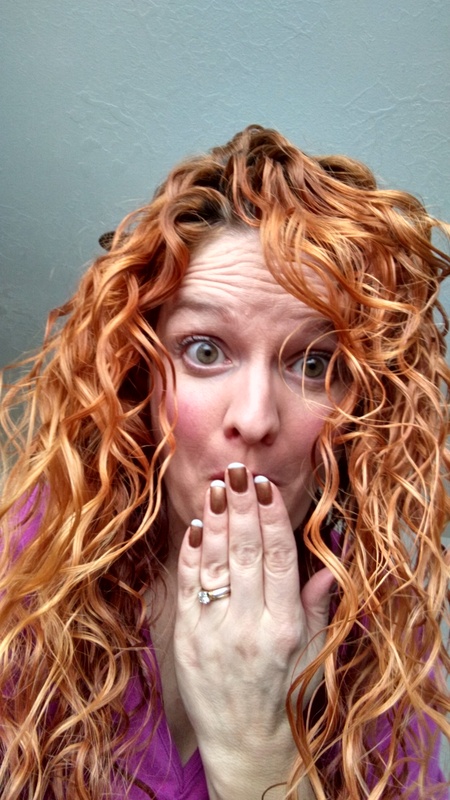 Sulfates are a no-no for curlies. Also, I’m not supposed to cut my hair wet. I cut the length off yesterday when it was dry, but I couldn’t get the layers right, so after I used sulfates and shampoo oh, and I used conditioner that has some kind of ‘cone in it (also a no-no) I combed my hair (no-no) and cut it wet. I cannot be the poster child for the curly girl method. (Just so you know, I am a trained cosmetologist and do not condone cutting one’s own hair.) Well, it will be a process. Right? This will be like any other lifestyle change. I’ll have some set backs and some adjustments, but I’ve made up my mind to live as a curly girl.